Steven Amedee Gallery is proud to present What a Little Moonlight Can Do, a solo exhibition by Kyle Simon. The Moonlight transmutes both the physical and the metaphysical, and indeed the enchanted union of the two—the night sky itself. 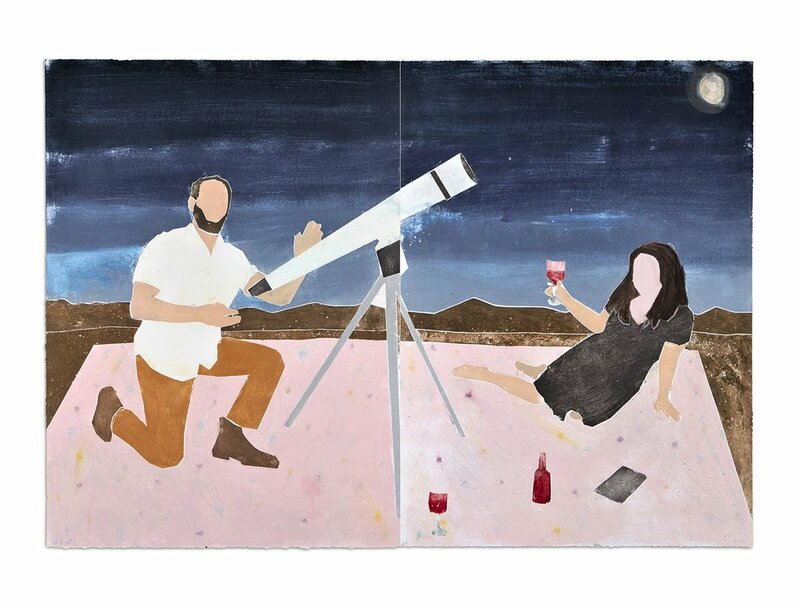 Kyle Simon’s new paintings, prints and photographs offer up the Joshua Tree night sky as, at once, the august stage and romantic muse. Simon pivots from his past role as raconteur, to one of patient observer. Throughout his career Simon has woven together dreamy narratives of archetypal, the fantastical, and the personal, using—often in the same work—a combination of painting, sculpture, performance, musical instruments, holograms, and sound devices. Recently Simon has built his own multi-functional telescopes for stargazing, photography, and audio renderings of the cosmos. The audio renderings are produced by sending signals from the telescope through analog sound modules. Simon has been performing these live renderings as “exclusive sensory experience in Asteroseismology” throughout California. In the distant past the night sky was sacred and frequently absent from paintings. It was not until Galileo’s insistence that the heavenly bodies could be examined scientifically that painters of the Renaissance more readily incorporated the cosmos into their work, without the preordained confines of religious symbolism. In an inversion of the work of Galileo and early astronomers who looked to the night sky for discovery, Simon looks to discover himself in the stardust. 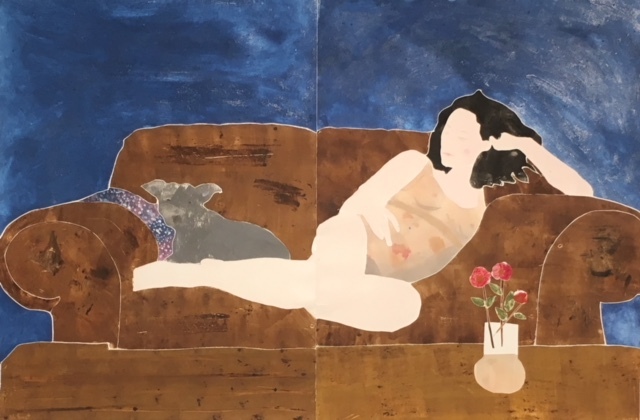 What a Little Moonlight Can Do follows the pared-down trajectory of an artist’s looking out to see in: a rumination of time, space and identity. Kyle Simon was born in 1979 in Philadelphia, PA and earned an MFA at the Santa Fe University of Art and Design in 2001. Simon has exhibited work in Spain, France, Austria and much of the US. He was a master printer at PACE Prints in New York from 2005-2016. The artist lives and works in Joshua Tree, CA.